The high level of expertise, depth of knowledge and skills demonstrated by our people, has helped us maintain our top tier rankings in this year’s Legal 500. 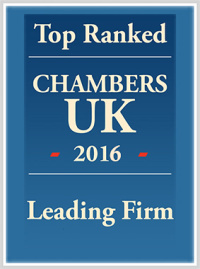 We maintained six number one rankings with numerous lawyers recommended by the independent guide. We maintained its top tier positions in key areas of law, including banking and finance, commercial property, charities and not-for-profit, sport, education and debt recovery. We also gained a new ranking for social housing following its appointment of partner and head of the Registered Providers team, Russell Hall. Amongst our team’s extensive work across the social housing sector, we advised Home Group, one of the UK’s largest affordable housing providers, to secure a £44.5m loan from The Housing Finance Corporation. Our managing partner, Jason Wainwright, said strong results based on Muckle’s focus on client care have been achieved through a strategy of focusing on Muckle’s core heartland across the North East business community, whilst competitors continue to focus nationally. He added: “We are delighted Legal 500 concludes that Muckle LLP is ‘excellent across the board’ and it’s reassuring to receive such recognition. The rankings are testament to the tenacity and commitment to client care shown by everybody in the firm. “We have some of the best legal experts working for us and they are achieving excellent results for our clients. But that’s not enough. Consistently delivering excellent service whilst providing that advice and being a key part of the local community is what truly differentiates Muckle. We will never lose sight of this. Our Corporate and Commercial teams were praised for handling one of the region’s most high-profile deals when we advised Quantum Pharma on its £106m AIM IPO. Our Corporate team has remained active throughout the year and, in the last three months, has completed 18 deals each valued over £500k, worth a combined total of £319.7m. This is a huge achievement. Highlights for our Commercial Property team include advising Northumberland Arch Group on the acquisition of a portfolio of nine industrial estates; acting for McAleer & Rushe Group on the agreement for the forward sale and development of student residential housing schemes in Bournemouth and Portsmouth; and handling a £64.5m bond and loan financing for the Home Group. Partners Jonathan Combe, Will McKay, Jason Wainwright and Adrian Hill are all recommended. The Construction team has been further strengthened with the arrival of team head Keith Bishop from Anderson Strathern in Scotland. Muckle remains the go-to adviser for charities and not-for-profits as well as in sport, with a diverse client base. These teams are lead by John Devine who regularly handles commercial and regulatory issues for high-profile clubs. He has advised nearly every professional football club in England and individuals, including international sports people. 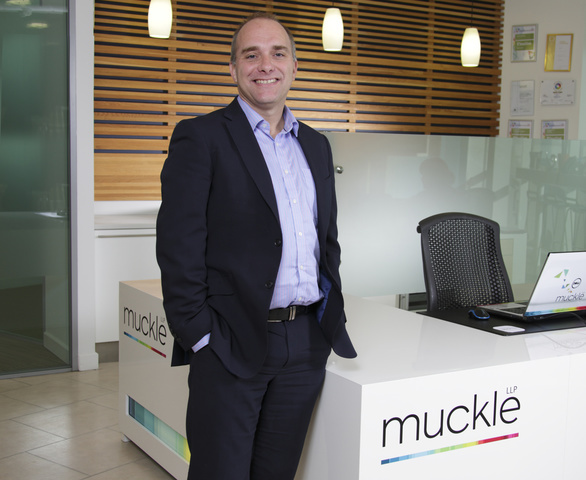 In Banking and Finance, Muckle has the biggest team in the North East and has seen significant growth in the turnover of the group. Last year, the team saw 12% growth and anticipates similar growth once again this year. It advised a major bank on a multimillion-pound facility and security arrangements provided to a manufacturer. Partner Louise Duffy was described as ‘very efficient, knowledgeable and extremely accessible,’ frequently instructing major borrowers. Partner Kevin Maloney was also promoted internally in the team. The level of service in the Education team was also highly commended and described as ‘exceptional’ with partners Tony McPhillips and Alan Grisedale ‘committed to client satisfaction,’ whether working with schools, multi academy trusts, colleges or universities. For further help and advice for you or your business please contact us on 0191 211 7777 or email [email protected].